Owned and operated by the same family for nearly three generations, Quality Auto Body is a community-focused auto body shop. Since 1968, we have always aimed to offer high-quality services and customer satisfaction. Our caring attitude is apparent in how much we give back to the community—through charitable giving, volunteering at local events, and generally investing company resources. 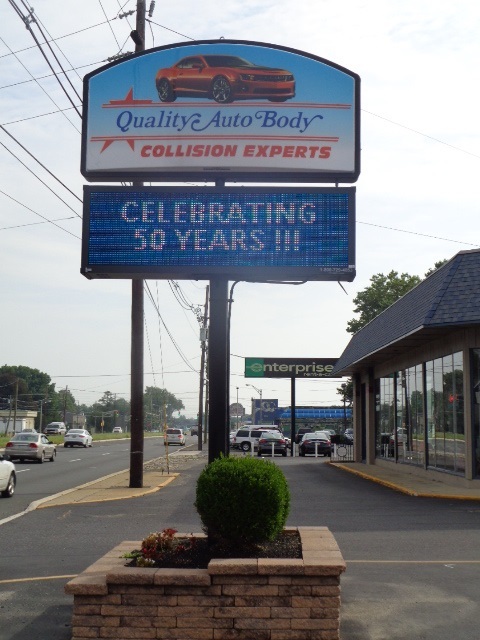 Quality Auto Body also feels that, in part, we owe our success to the residents in Burlington and surrounding communities for their support of our business and the local small business environment. All of our employees are I-Car Gold Class professionals, an educational certification that only 10 percent of the collision and damage repair industry can claim. With more than 20 team members, at least two-thirds of our staff has been with us for at least 15 years. We believe that treating our employees with fairness and respect promotes a higher level of dedication, integrity, and dignity in our team members. Give us a call today at 609-386-6666 to learn more about our business or to schedule your free estimate. You can also check out our FAQs for more information about our business.